Teresa Coppola Morgan and husband, Jim, introduce 825 Main Products. Simple Sauce. High Quality Ingredients. Vivi con Gusto (pronounced vee-vee cone goo-stow) in Italian means live with both pleasure and taste. In English (pronounced “guss toe”) it means taste, great pleasure and enthusiasm. 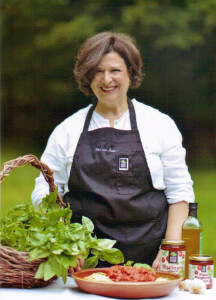 Please be encouraged to have a passion for food, excitement of trying new things, and a zest for life’s simple pleasures. 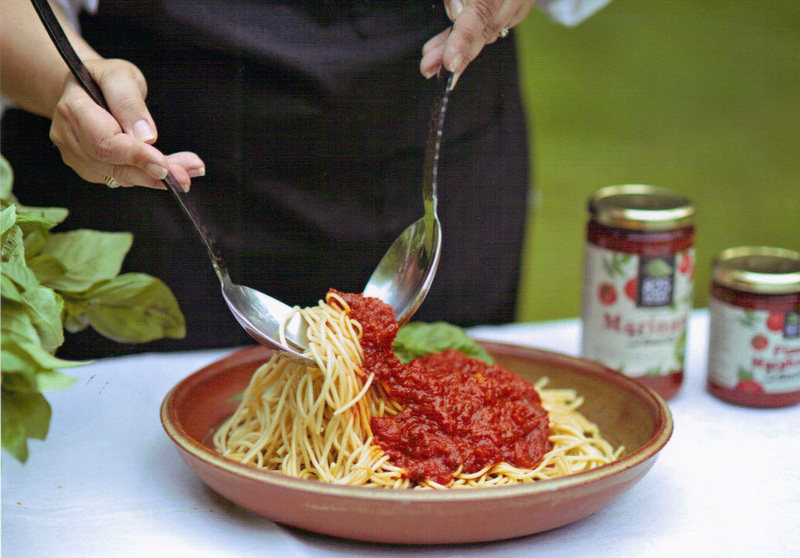 By simply combining a few fresh quality ingredients yields a sauce so full of extraordinary flavor that you, too, will want to live Una Vita Gustosa (a tasteful life). Pick up a jar and introduce your friends and family to a simple life full of taste. And be sure to say, Vivi con Gusto! to your guests at your dinner table at home when you serve them 825 MAIN Tomato Sauce! I have raised a family, ran a restaurant with my husband…and 50 years went by. Life happened and our goals changed so we retired from the restaurant business. But I haven’t stopped being who I grew to be – a food connoisseur. I have this need to share my upbringing. In the midst of our fast paced lives where processed foods take the place of real food for the sake of convenience we forget how delicious real food can really be. I want to show you that it is possible to live with good taste in our fast paced world. Allow me to share with you how I came to be who I am today. I grew up in a family where everyone was involved in the food industry. From chefs and butchers to farmers including the aspect of selling and growing to cooking, a family get together was a huge gastronomical experience. 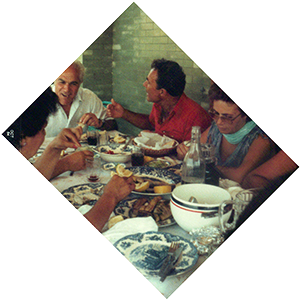 Since my parents are from the Campania region of Italy, I’ve traveled eating from table to table throughout southern Italy since I was a little girl and I’ve become accustomed to the true spirit of Italian Mediterranean cooking. I came to the realization in my retirement that I want to go back to my roots by the way we meticulously hand selected all the ingredients for our cooking. In our busy world why do we have to compromise eating healthy and tasty with convenience. All the ingredients in the 825 MAIN Sauces used are non GMO. I strictly adhere to my back to basics rule by bringing you the very best without using any additives. The sauces are also gluten free. Simplicity is the key and only the finest and freshest ingredients are used. Fresh basil from the Hudson Valley and fresh garlic from New York farms are used when in season. From my table to your table at home allow me to share with you “la vita gustosa.” Please take a jar of our 825 MAIN Sauces and introduce your family to la vita gustosa, a tasty life.